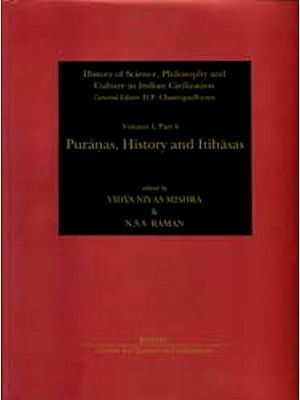 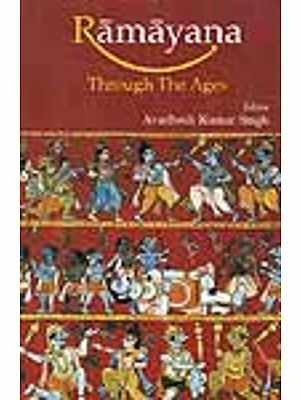 This is book on the world famous Indian epic-Ramayana. 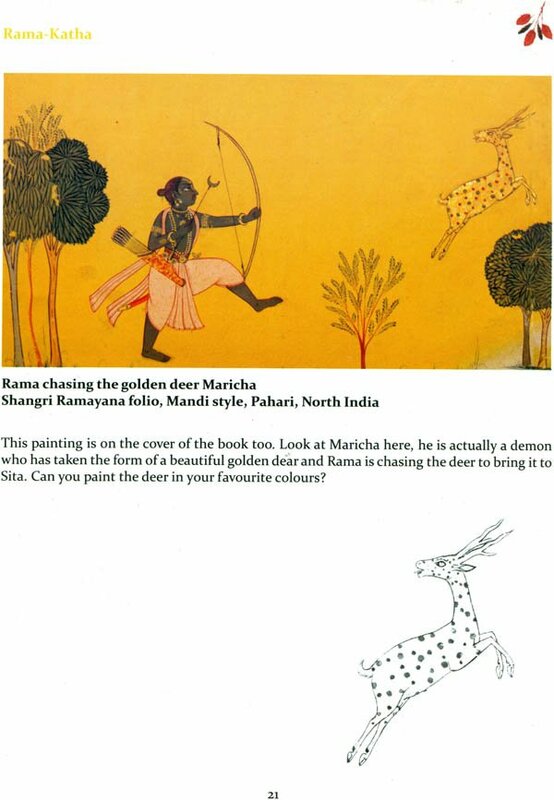 Told through miniature paintings, a traditional art from in India, Ramayana is the fascinating story of Rama and his eventful life. 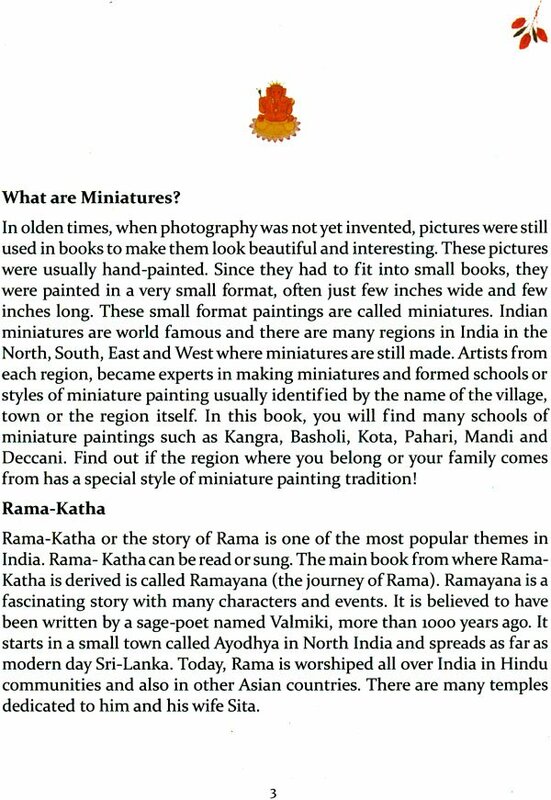 Flip through the pages of this book to see beautiful paintings and look into the details to discover the magical world of miniatures! 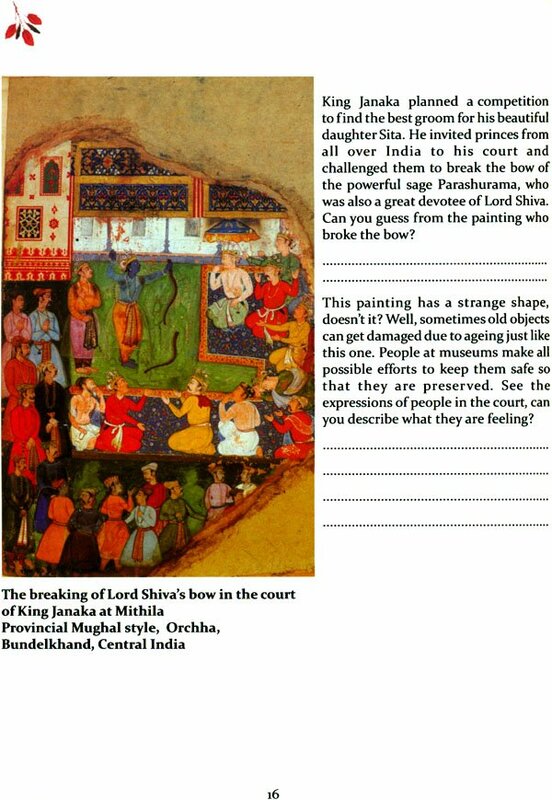 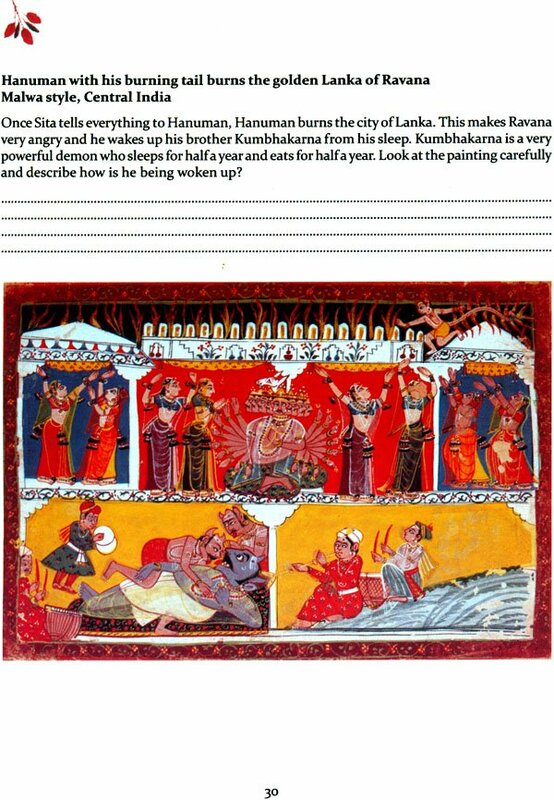 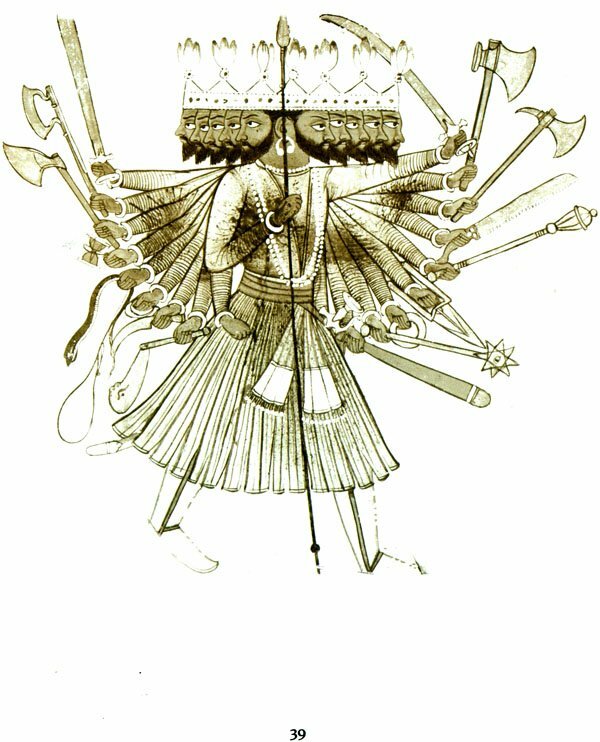 On each page, enjoy an episode from the epic and write your own Ramayana.